Longtime Clinton County businessman Vern Kaspar established the Vern and Lillian Kasper Scholarship Fund in 2007. Vern is in the radio business and has offices and radio stations in Frankfort and Zionsville, Ind., and St. Louis, Mo. Vern credits his education as key to building a prosperous legacy for his family. He is a graduate of Iowa State University and has degrees in physics and electrical engineering. Vern obtained his first Federal Communication Commission license at age 13 as an amateur radio operator. 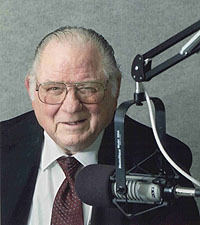 He was inducted into the Indiana Broadcast Hall of Fame in 2004, and is known for being an Indiana broadcast pioneer. The fund provides scholarship support to students who are studying mathematics, physics or engineering. 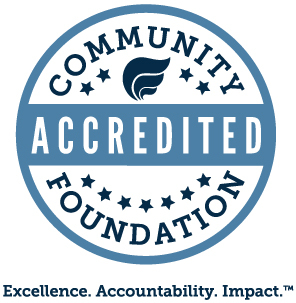 Students graduating from Clinton Central, Clinton Prairie and Frankfort high schools are eligible to apply for the scholarship. We want to thank Vern and Lillian for their generosity and their willingness to support Clinton County’s youth.